For a long time now, I’ve been trying to figure out how I wanted to make this post and what I wanted to say and disclose. And for an equally long time I’ve put it off. Mainly because I didn’t want to disappoint anyone and I kept hoping for some kind of change that would make it unnecessary. But, truly, it’s been necessary from the get-go because that’s how publishing works. When I made my initial projections regarding the release dates for We Can Be Good (Bk 3) and We Make It Real (Bk 4), I operated on a central assumption based in prior experience: that the first two books would pay for themselves. See, as long as I’ve been self-publishing I’ve never had a book not pay for the cost of creating it. I’ve had books earn more or less profit, but I’ve never failed to cover my expenses. So, when I set aside the money to publish the four book series, I went with $5,000, thinking that would be more than enough. I was wrong. See, it’s a rule for me that each book carry itself. It becomes dangerous to my business for me to allow for a situation where Peter pays for Paul. At least during this stage of my career. Maybe when I have many more books out and a steady back catalog income coming in I could take that risk. But at this juncture, I just can’t. It would only take a few books that didn’t sell with a profit for me to have no capital to work with at all. So, back to Pictures of You & You Are Not Me. They’ve been so well received by readers who took the leap and reviewers that it may come as a surprise for many to hear that they have barely covered even half of their expenses. I put $3,600 into those books (editing, covers, formatting, marketing) and as of the other morning they had earned $1,900. Not each, but both of them together. Perhaps it’s crass to be giving you guys actual numbers, but I want you to understand that this isn’t a case of the books not earning enough to satisfy me. I never thought they’d make that much of a profit because they are a little out of the box. But rather these books just aren’t carrying their weight financially. This at a time when my day job is precarious and my book sales are down by 1/3 across the board last year. It means that I have to publish at least one, if not two, books that make a decent profit so I can save up that $3,600 with the idea that it won’t be coming back to me quickly. I don’t know that my next releases will provide that profit. I have no idea, frankly, what will sell and what won’t. It’s always a bit of a mystery. I love this series. I’ve been working on it off and on for fourteen years and I won’t let it go until it’s finished. I will not take fourteen years to finish the back half of it! LOL! I WILL put We Can Be Good out in 2017 for sure. If I can, I’ll also do We Make It Real, but I can’t know if it will be 2017 or 2018 at this point. I want to apologize to everyone who is eagerly awaiting Peter’s next adventure. I am sad to know that I’m disappointing you and a little embarrassed to know that there is no way out of it. At this point, even if some crazy generous weirdo (LOL) were to fund the cost of the edits, etc, I’m so far down the path of trying to get this next unrelated release out that I’d need to do that first. Again, I’m so sorry to let everyone down. I’m not giving up, though. I’m still enthusiastic af for the books and for Peter and for his story! I’m still invested 100% and that’s part of the reason I’m slowing the timing of releases down, too. Obviously, I could forgo editing, etc, to lower costs. But I can’t ask you guys to accept lower quality books for the last two. I’ve waited this long to put his story out, and I’m not going to send sub-par follow-ups into the world. I hesitate to call ’90s Coming of Age series a failure, but this Winston Churchill quote does sum up how I feel about the future of the books. 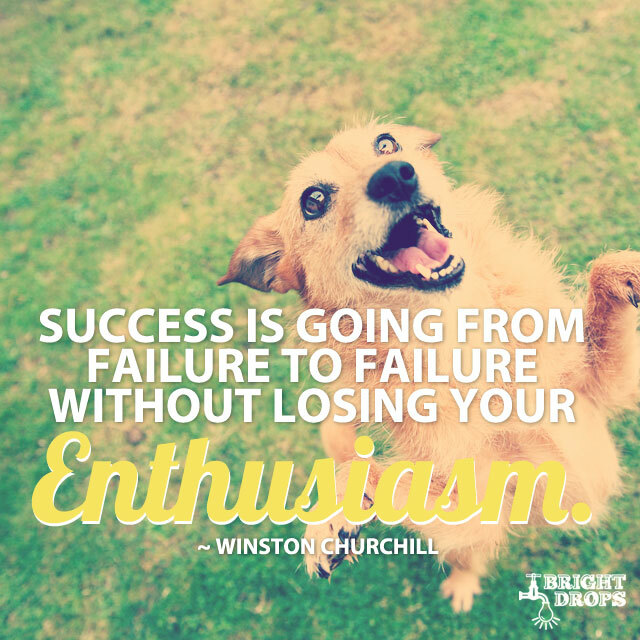 I refuse to lose enthusiasm for the books and I refuse to quit on them. In the meantime, I’m serving up some hot, slow-burn omegaverse for my next release (hopefully in late Feb or early March). I hope you’ll join me for that wild ride! Sending love to all my readers out in the world! Every last one of you makes the difficulties worth it! Every review, every bit of feedback, every email and FB like and Twitter reply. 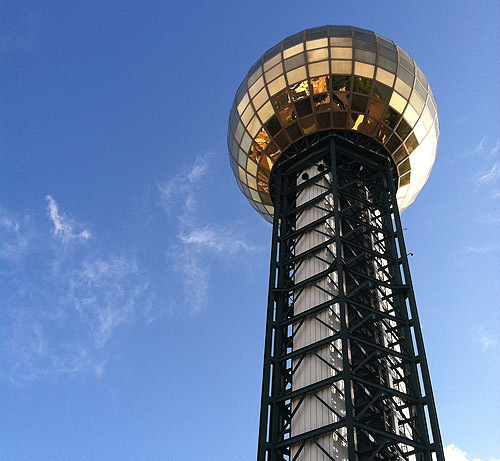 The Sunsphere. 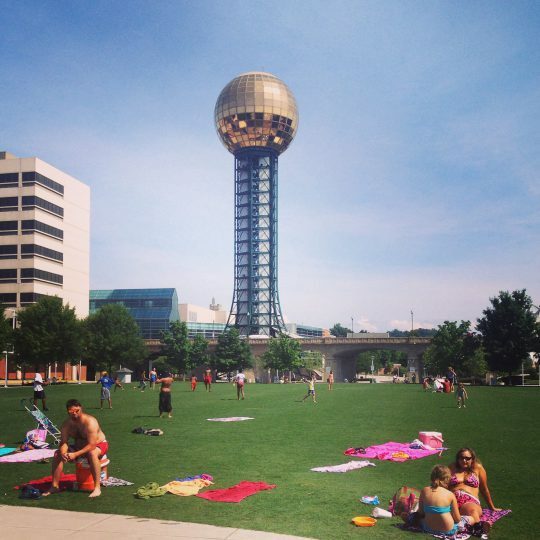 Icon of Knoxville, the setting of the 90s Coming of Age series. I brought my laptop with me with the intention of getting some writing done, only to realize that I don’t have access to my Dropbox from here. Poor planning on my part. 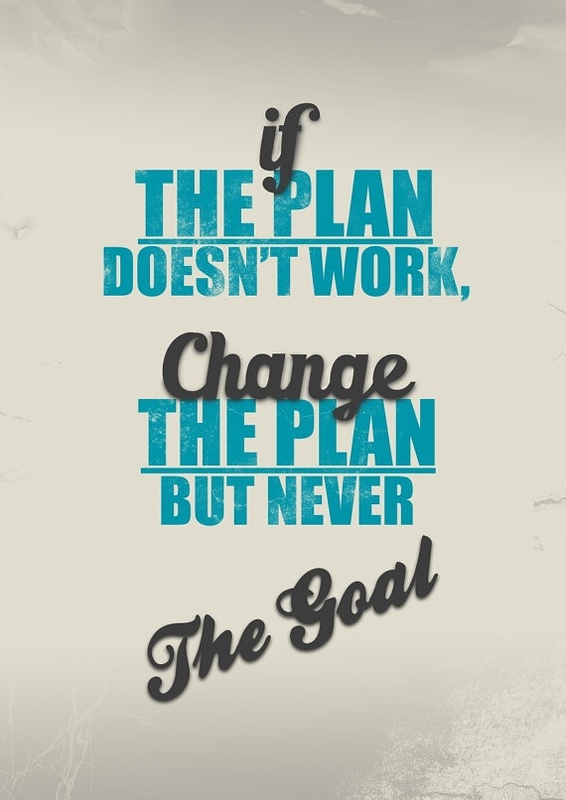 So, instead, I’m going to finally type up my writing plans/goals for 2016. Yes, that’s me burying the lede again. I’m good at that. Wake Up Married serial. Episodes 4-6 will be released in the early months of this year. Pre-orders are available already for Will & Patrick Fight Their Feelings and Will & Patrick Meet the Mob. 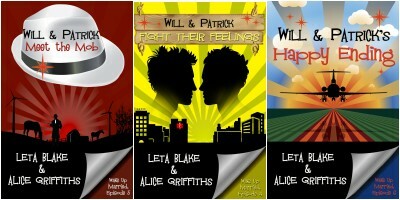 The final installment, Will & Patrick’s Happy Ending, is not available for pre-order yet, but it has a Goodreads page. We are doing our best to be as timely as possible with them. Each installment of this serial is between 30,000 and 40,000 words in length. How to Steal a Heart. A stand-alone art heist novel inspired by the movie How to Steal a Million. This book has been building in my head for about four years now. I’ve read tons of books about art thieves, art heists, art con artists, etc, and I feel like I’m ready to finally tackle it. I’m pretty excited for this one! I hope to have it out early in the summer, but it might take a backseat to the next items on this list if necessary, because they are where the bulk of my writing/publishing plans rest for this year. My goal for release is May or June 2016. But if I can’t make that due date, then we’re looking at Spring 2017 instead. The next set of releases are books made up of pieces of my heart. 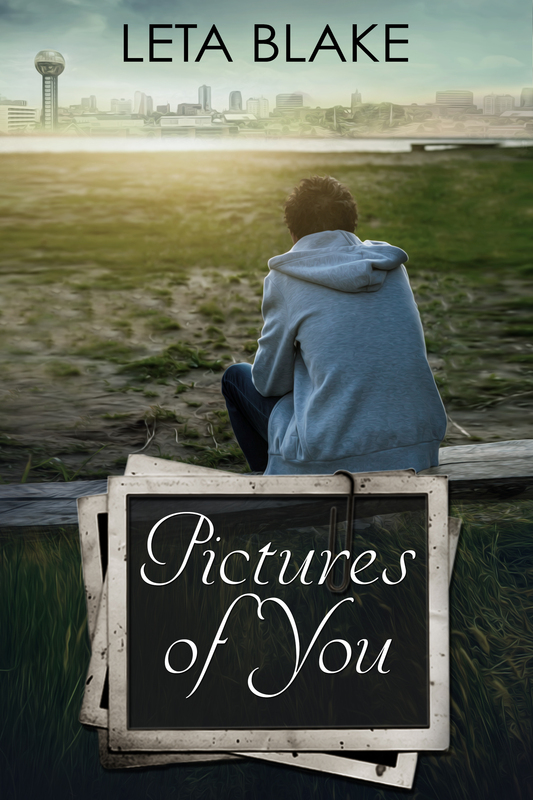 Their titles are: Pictures of You, You Are Not Me, You Make It Real, and Never Tear Us Apart. Also known as The 90s Coming of Age series. I started writing these books back before I knew I shouldn’t. Yep, I started them in 2004, when writing a book set in 1991 didn’t seem like I was writing about a different world altogether. I wrote what I knew and mixed it with what I didn’t know, because that was the advice we’re all given to start. I wrote about a time before 9/11 when a non-practicing Jewish boy in Knoxville, Tennessee could be in love with a non-practicing Arab boy from “all over the world” and the issue of religion/race is the least important problem they face. I wrote about emotional abuse. I wrote about being in the closet. I wrote about beards. I wrote about a world where first love doesn’t always mean last love. (But it’s me so there is a happy ending for the main character.) I wrote about a world where AIDS was still tearing down any sense of safety gay men might have ever created for themselves. I wrote about graduating high school and going to college. I wrote about all kinds of things that don’t fit what anyone expects from me as a writer or from novels in this genre because I didn’t know any better. Middle Grade Christmas Book: I promised my ten year old daughter to write a Middle Grade book for her, and I intend to keep that promise. Her present for next Christmas will be the book she and I planned/plotted together. I’ll release it under another name, obviously, but I’ll let my readers here know about it when I put it out. My last tentatively planned book of 2016, one that I’d love to release in December if possible, is an unnamed Christmas story. I honestly have my doubts that I’ll get it done in time, and if I don’t feel like it’s going to happen, I’ll probably shift my focus from it to the Mail Order Bride story that I hope to have out in early 2017. We’ll see how it goes. I always like to bite off a bit more than I can chew. It keeps me constantly striving. I have a terror of being lazy, so planning for more than I can accomplish is one way I keep myself from slacking off too much. These are the books I’m looking at putting out for 2016. I hope you’re as excited by this list as I am and I hope you can make room in your heart to give the 90s Coming of Age series a try even if it’s different from what you might otherwise expect from me. 🙂 Here’s to a publication packed year!